CANTON, Mass. (May 3, 2010) – Baskin-Robbins, America’s favorite neighborhood ice cream shop, is mixing it up with DJ Pauly D this summer to launch its new 31 Below™ Creations. Soft Serve lovers can beat the heat by spinning their own mix of creamy vanilla Soft Serve and candy toppings or by choosing from one of Baskin-Robbins new 31 Below flavors like Peanut Butter ‘N Chocolate and America’s Birthday Cake. A new online application will allow Baskin-Robbins enthusiasts to experiment with different toppings to create their ideal virtual 31 Below treat - complete with its own musical beat. Soft Serve spinners like DJ Pauly D can visit the Baskin-Robbins Facebook page to create their own 31 Below music jam by mixing a variety of ingredients each with its own tempo, harmony, accent and shout out. Fans then have the option to share their song on Facebook and Twitter or email it to a friend. Participating Baskin-Robbins stores will also offer free music downloads with the purchase of a 31 Below while supplies last. Details are available on the Baskin-Robbins Facebook page. 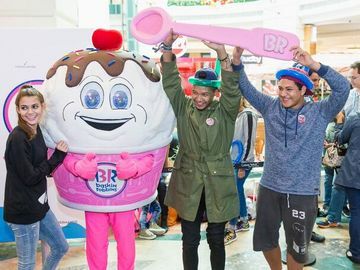 Baskin-Robbins lovers can also follow @BaskinRobbins on Twitter for 31 Below giveaways and become a fan on Facebook for exclusive photos and videos of DJ Pauly D.
America’s Birthday Cake: Rainbow sprinkles, frosting and cake pieces blended with Vanilla Soft Serve—no candles required! Peanut Butter ‘N Chocolate: Vanilla Soft Serve swirled with peanut butter sauce and hot fudge. Baskin-Robbins launched Soft Serve in 2008, becoming the only national ice cream chain to offer both Soft Serve and hand scooped ice cream. 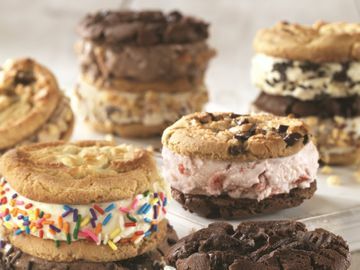 With the introduction of Soft Serve, Baskin-Robbins became a one-stop destination that meets everyone’s ice cream needs. For more information visit www.baskinrobbins.com.